A man in his 20s, left disabled by a childhood brain infection, has won an NHS compensation package worth up to £6.2m. 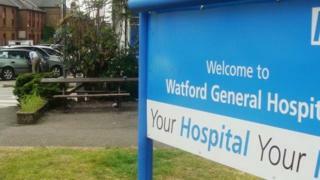 His family sued West Hertfordshire Hospitals NHS Trust to cover the lifetime cost of his care. A spokeswoman said: "We hope that the financial compensation will ensure that the claimant has the best possible quality of life in the future". London's High Court heard that the man's parents cared for him for many years before contacting solicitors in 2012. Mr Justice Baker awarded the family a lump sum of £1.5m, plus index-linked payments of £74,000 a year to cover the costs of his care for life. He said: "You have done the utmost that could possibly have been expected of you and I'm glad to see that you will now, at last, have some security in your position." After the hearing, the family's solicitor, Anne Kavanagh, from Irwin Mitchell, said: "Although liability was not formally admitted in this case, the trust took a very pragmatic and constructive approach to the negotiations which led to this settlement, for which they deserve credit." His parents said: "All we have ever wanted is for our son to receive the care he needs because of his condition." The settlement means "we will be able to concentrate on the future and try and help him make the most of life".